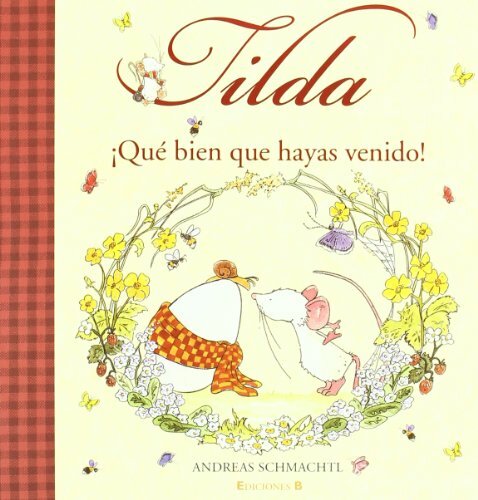 No hay nada que a Tilda, la ratoncita blanca como la flor del saúco, le guste más que recibir visitas, y cuando invita a sus amigos a tomar el té, flota en todo el pueblo el aroma de un rico pastel. Tilda finds a huge egg at the door of her house. One day the shell breaks and there is a duckling, who Tilda continues to care but concerned that no longer would fit into her house. Suddenly, appears the mother Duck for her egg. Tilda rejoiced with her friends and go to the river every day to see the ducklings swim and fly.